I grew up in Yakima, a small town in Central Washington that I was convinced I was bigger than. When I first left for college in Seattle, I didn’t like returning home, even for a short visit. But as I continued to write, in college workshops or on my own, I found Yakima (or some anonymous small town that was a thinly-veiled Yakima) kept cropping up as my natural setting. I rarely found my characters in cities. They were small town people, rural even, and their dramas unfolded amongst neighborhoods, highways, and diners. Now that enough years and distance have been put between high school and me, I’ve been able to wrap my childhood home in a warm, nostalgic glow. I look forward to returning to the vast emptiness that stretches out on the other side of the Cascades. And I’ve accepted that no matter what city I live in, the small towns of my youth will play as much a part in my stories as the characters and plot. 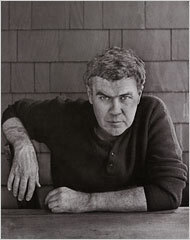 I’ll admit, my acceptance of Yakima probably originated with my discovery that Raymond Carver, my favorite short story writer, grew up there too. I know the high school he attended and the church where he married. My sister gave birth to one of her children in the same hospital where one of Carver’s was born. Now, if I feel a particular need to defend Yakima, I mention this most famous resident (for all you Twin Peaks fans, actor Kyle Maclachlan is from Yakima too). Sometimes I imagine Carver and I are kindred spirits, literary soul mates (either that or I am a big fan who likes to emulate his style of writing). 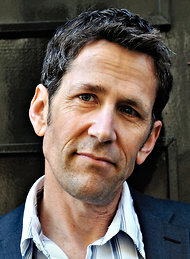 Like Carver, I write short stories that often run on the shorter side and that contain minimal descriptions. I tend to fall into the school of “less is more” writing. Perhaps this has something to do with where we grew up. When you look out the window and see more brown than green, more sky than buildings, more trucks than smart cars, you start to run out of ways to say “rural.” This valley is desert, it’s barren, but that doesn’t mean the people and ideas that come from it are that way. We simply see the world differently, a little harsher maybe. I couldn’t get this thought out of my head. Maybe I never liked Yakima growing up because I worried I was just as small as it, that my writing was just as small. Maybe my writing would never be New York or London, maybe it would be drive-in theaters, Miners burgers, and minor league baseball. I think that’s okay. Even now, living in Portland, Oregon, I set my last story in Gresham, a suburb on the edge of the city. My current work takes place in Tieton, Washington, an even smaller town fifteen minutes west of Yakima. The population of Tieton is 1,200, but my story explores universal issues of sexuality and mortality. I no longer believe our geography limits us. I think it informs our writing as much as our experiences do.